In the military history museum in Vienna, one of commentaries said only a few countries protested against Nazi Germany's 1938 annexation of Austria, which the German propaganda apparatus called the Anschluss. Protesting countries included China, Mexico and a few other countries I cannot remember. I tried to google this and found nothing about the Chinese protest and sources claiming Mexico was the only country which protested. Does anyone has a source verifying this? This depends on what you mean by protest. Mexico was apparently the only country that protested officially to the League of Nations. The Soviet Union condemned the annexation of Austria, of course, as did the Spanish Republic, and (surprisingly) the Vatican. 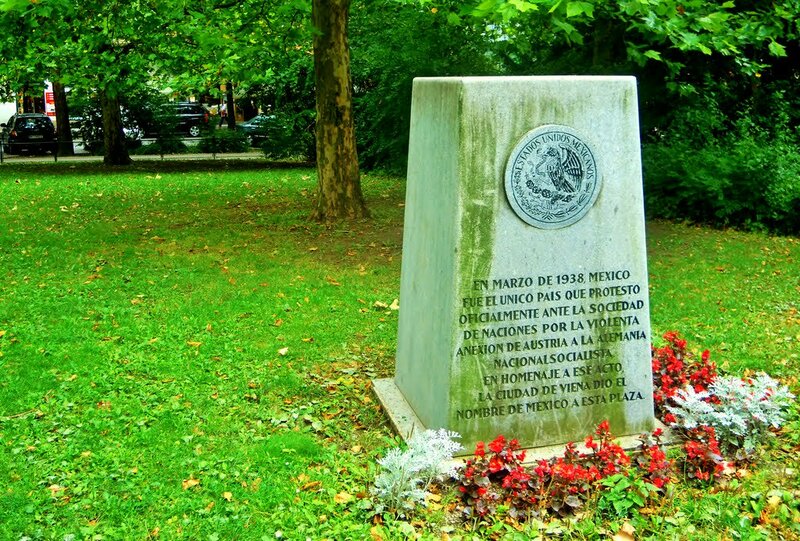 "Mexikoplatz (Mexico Square) is a square in the Austrian capital Vienna. It is located in the city's 2nd district, Leopoldstadt, near the banks of the Danube, on the southwestern end of the Reichsbrücke (Empire Bridge), which links Leopoldstadt with Donaustadt, the 22nd district of Vienna." 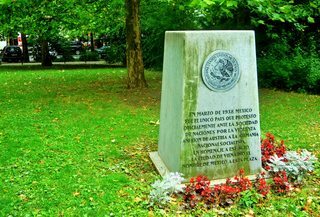 This plaza was created to honor Mexico and in the middle you will find a monument that thanks Mexico for being the only country in the world that protested the annexation by Germany. What legal challenges and other objections were made against the Nuremburg laws?